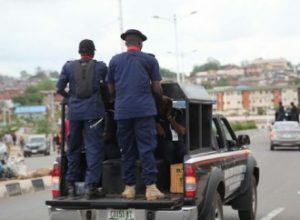 NSCDC deploys 600 personnel to worship centres in Maiduguri – Royal Times of Nigeria. “ The students should therefore have no course for alarm as they go about their studies,’’ he said. “ We therefore appeal to residents to assist the security agencies with relevant information that will enable us nip any suspected threat of Boko Haram or any other elements in the bud. “They should also be alert to strange faces,’’ Abdullahi cautioned.